It’s no secret that I’m a huge fan of Anne Brontë’s writings, and those of her sisters Emily and Charlotte Brontë as well. There are other writers who I love almost as much as the Brontë however, and foremost among them is a woman born Elizabeth Cleghorn Stevenson. She had a very interesting life, and wrote some incredible books such as Cranford and North And South, and of course the world knows her better as Elizabeth, or Mrs, Gaskell. Gaskell is of particular interest to Brontë lovers because she not only knew the family, she wrote the world’s first Brontë biography – her wonderful ‘The Life Of Charlotte Brontë’ published in 1857. More on that later, but first let’s take a look at the woman herself. She was born Elizabeth Stevenson in September 1810 in Cheyne Walk London, making her five and a half and nine and a half years older than Charlotte and Anne Brontë respectively. 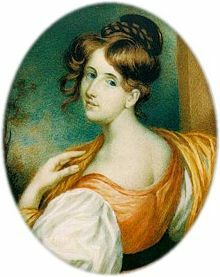 Gaskell (her married name, and by which I will refer to her from now on) had something in common with Anne that would influence both their lives – she lost her mother while still an infant. Anne was eighteen months when Maria Brontë died, and Elizabeth was just thirteen months when her own mother Elizabeth Stevenson, nee Holland, died. 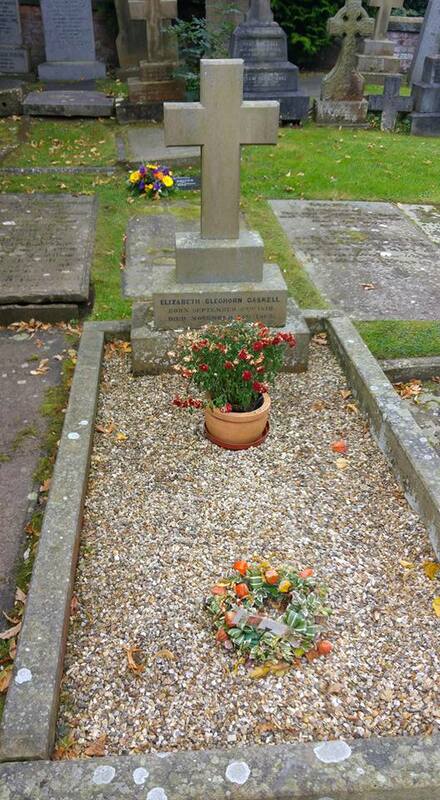 Both Elizabeth Gaskell and Anne Brontë were brought up under the influence of an aunt. Her father suffered greatly from depression and was unable to bring up his daughter, although she did return to London to nurse him before his death in 1829. The majority of Elizabeth’s childhood was spent in Knutsford, Cheshire, where she was raised by her Aunt Hannah (more on Knutsford later as well), and the town was recreated as Cranford in one of her most celebrated works. 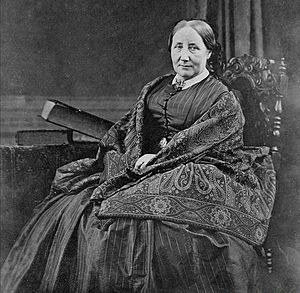 It was in Knutsford as well that she met and fell in love with the Unitarian minister William Gaskell, and they married in 1832. Gaskell loved to write, and had contributed many stories to magazines under the rather improbable pseudonym of ‘Cotton Mather Mills’. In 1848 her first book Mary Barton was published, based largely upon her own experience of losing her first two children in infancy. It was an instant success, and her subsequent works made her one of the foremost writers of the time, also gaining her a friend and ally in Charles Dickens. The great and good of literary society would often visit the Gaskell’s at their large new home in Manchester, now the recently opened Elizabeth Gaskell Museum. One such visitor was Charlotte Brontë. They had initially met in London, and soon became firm friends. Both were short women, a little on the dumpy side it has been said, but both were brilliant writers not afraid to challenge convention. On one occasion we know that Charlotte hid behind the curtains at the Gaskell’s house, as she was too shy to mix with the other guests. Gaskell’s books are a delight to read, and they are as relevant today as ever, dealing as they do with social inequality and the north-south divide as well as timeless themes of love, hope, and loss. The book that really captivated me, of course, was her life of Charlotte Brontë. It seems that it was Patrick Brontë, alone after Charlotte’s death in 1855 had seen him outlive all his children, who first suggested that Mrs Gaskell should write a biography of her friend Charlotte. He gave her unprecedented access to her papers, and Ellen Nussey and Mary Taylor contributed too. The book is a brilliant read, one genius writing about another, and incredibly moving. Her stories of Anne and Emily were second hand, as although she often visited the Haworth Parsonage this wasn’t until after their deaths. That doesn’t mean that they are worthless, however, far from it. Modern, revisionist, readings of Gaskell’s biography often pour scorn on it, because she didn’t have access to the research and archives that modern biographers have. This is far from fair. What Gaskell did have was a personal knowledge of Charlotte and many people in the story, and she was hearing first person testimonies that were still fresh in the memory. That’s why her biography is so important today, and whilst there may be some factual errors, and other sections that were changed because she was threatened by law suits (from Carus Wilson, the head of Cowan Bridge School for example), it’s still the closest we can get to how Charlotte herself thought and acted (other than her brilliant letters of course). Gaskell inspired me and many other biographers to step into the world of the Brontës and make our own contributions, however small they may be. It’s a book I can read over and over again, and often do. Her depiction of Anne is tender and affectionate, she has obviously learned to love Anne Brontë through the depiction she had of her from Charlotte. I mentioned Knutsford earlier. It was a place very dear to Mrs Gaskell, and I’m proud to announce that I will be talking about Anne Brontë and her sisters at the Knutsford Literature Festival on Saturday, 8th October. You can find more details here – I’m really looking forward to it, and it would be great to see readers of this blog there!